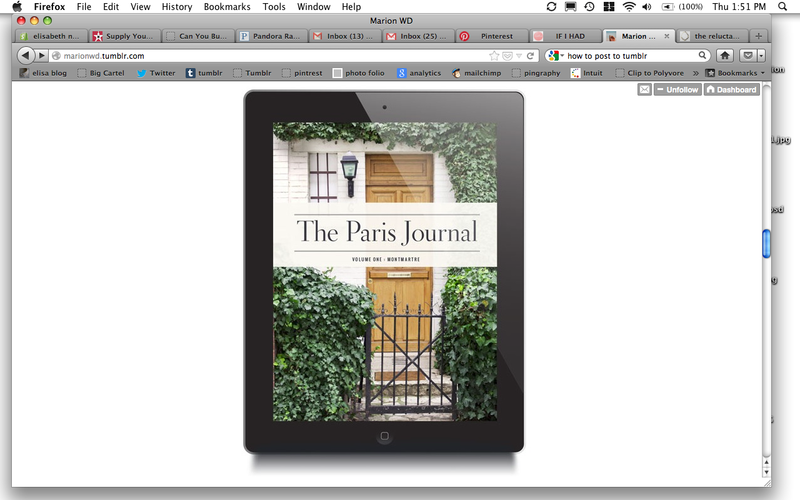 Just stumbled onto this digital book, The Paris Journal, and I am completely hooked. Combining fine art photography and gorgeous minimalist videos, this app lets you wander the neighborhoods of Paris sans hopping a plane. Each chapter explores a different neighborhood; each chapter is equally delicious. C’est fantastique! This entry was posted on June 1, 2013 by elisabeth in our favorite things and tagged Paris, Paris app, The Paris Journal.